Earlier today, Stardock released Start10, a Start menu replacement for Windows 10 and we had a chance to chat with its creator, Brad Wardell about the new application. If you want to learn more about the new app, you can check out our post here. Start10 follows up on the success of Start8, can you talk a bit about the traction you saw with Start8 and how it influenced Start10? With Windows 8, Microsoft at first eliminated the Start menu. This was a big problem for both consumers and enterprise customers who wanted a quick, obvious way to get to their documents, images, most used apps and search. Thankfully, Microsoft added the Start button back in Windows 8.1 but it just took users to the start screen which, again, was non-ideal for users to get to their stuff on a desktop. Start8 was designed to bring the Start menu from Windows 7 to Windows 8 with a refreshed UX to make it match the look and feel of Windows 8. 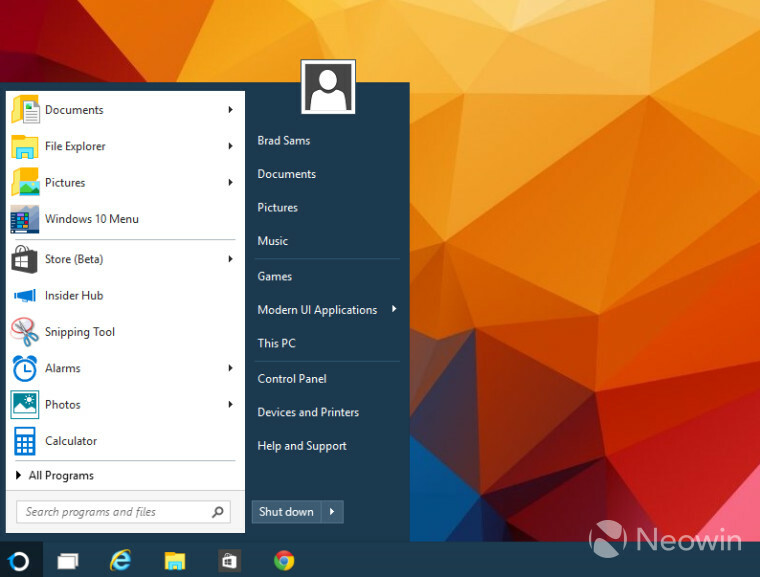 In Windows 10, the Start menu has returned, why are you building Start10? Originally, I thought Windows 10 would make a program like Start8 obsolete. Unfortunately, the new "start menu" on Windows 10 is really just a miniature version of the Windows 8 Start screen. For instance, the search bar is in the taskbar using space all the time. If you search something in it, there's no context menu, no jump lists, no way to go to the directory of the file. The Start menu itself doesn't allow you to drag and drop things to and from it. It mixes multiple interfaces together in a way that makes getting to desktop related content harder.